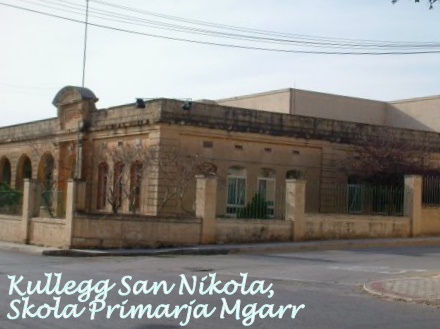 Mgarr Primary is the village school of Mgarr, a picturesque rural village situated in the north-west of the island of Malta. It is a very old and quiet village with very early inhabitants. Ta’ Ħaġrat Temples are a clear proof of these settlers. 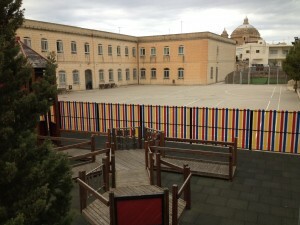 The school was officially inaugurated in 1923 by his Excellency Lord Plumer, Governor of Malta. Father Edgar Salmon, vice-parish priest of the village, worked hard and finally succeeded in having an educational institution functioning at the heart of the village. The initial plan of the school consisted of classrooms along the facade. After the Second World War, some more classes were added to accommodate the rising population of Mgarr. More classrooms were added in the mid-fifties. This plan has changed in the last years. More classes had to be added because the population of Mgarr was increasing rapidly. The classes that were added after the Second World War were brought down and instead a community hall, a multi media room, a library and clinic were newly built. For the first time classes were added on the first floor of the school. The old part of the school is now being used as the college principal’s office, the school’s administrative offices, a gym and a kitchen. The school was officially named after Ganni A. Cilia, on the 25th of March 1998, in the presence of Mr.Ganni Cilia himself and other distinctive personalities of the island. Ganni Cilia served as a headmaster at Mgarr Primary for a long time. Currently, the Head of School Mrs. Antonella Ferrante, within a solid administrative team, consisting of the Head, two Assistant Heads together with the teachers, kindergarten assistants, Learning Support Assistants, a number of the support teachers, and all the stakeholders of the educational system, is working towards creating an inclusive school in the true spirit of the National Curriculum Framework.